Classic Hangman with OpenGL graphics. Is there a better alternative to Awesome Hangman? Is Awesome Hangman really the best app in Puzzle category? Will Awesome Hangman work good on macOS 10.13.4? 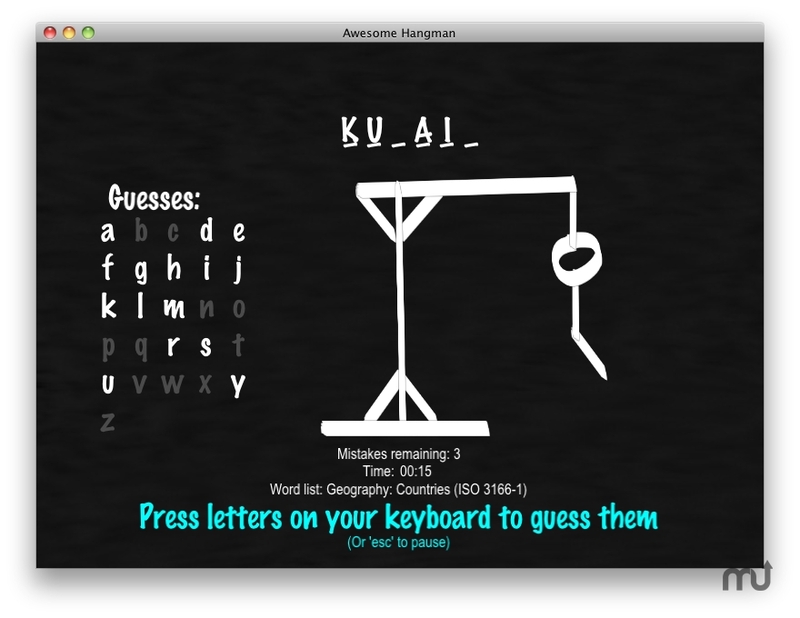 Awesome Hangman The age-old classic of Hangman is brought to life with OpenGL graphics. Suitable for all ages, with a short list of words for children, and a huge list of words for adults. Awesome Hangman needs a rating. Be the first to rate this app and get the discussion started!